This is without doubt one of the finest portraits to be painted in the Netherlands at the end of the 16th century, and it is arguably the greatest head that Pourbus ever painted. Described in 1867 by the renowned art historian Thoré-Bürger as ‘a masterpiece of truth and expression’, it once formed part of one of the greatest art collections ever assembled, that of Elector Lothar Franz von Schonbörn (1655 – 1729), for his Schloß Weissenstein in Pommersfelden, Germany. There it hung in the great gallery with its pendant, the Portrait of a Lady aged 54, now in the Fine Arts Museum of San Francisco in California. 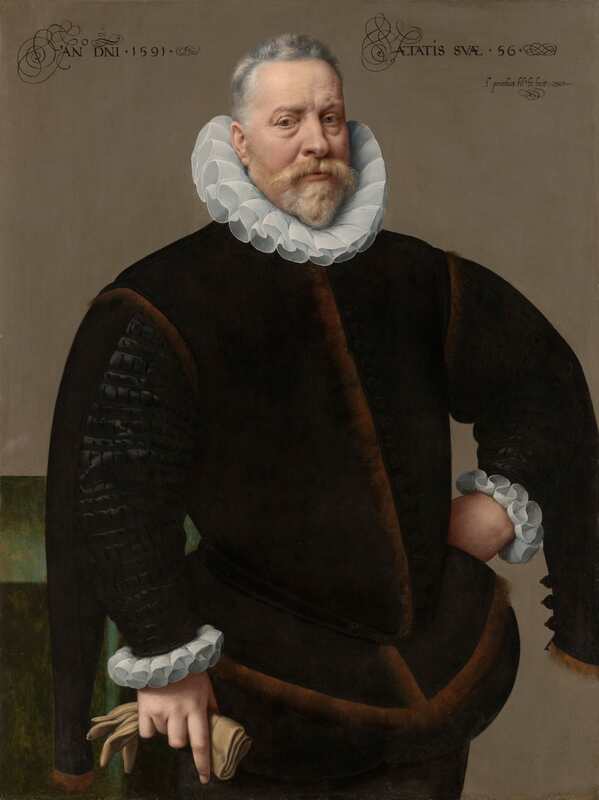 As with the portrait of Caterine van Damme, in these his earliest works, painted for the merchant and patrician class, Pourbus achieved what could be described as a degree of ‘hyper realism’ that he never again attained in his later court portraiture. Vienna, Kunsthistorisches Museum, Up Close/Hautnah, 26 June to 23 September 2018.